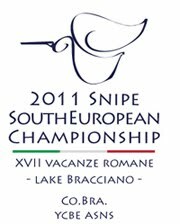 Snipe South European Championship 2011: straight to SSEC2011!! ..next step in Italy and inside IV Zone District, towards Snipe South European Championship! 17 luglio - YCBE (Lake Bracciano) - IV - Regional Championship: warm-up to SSEC! !